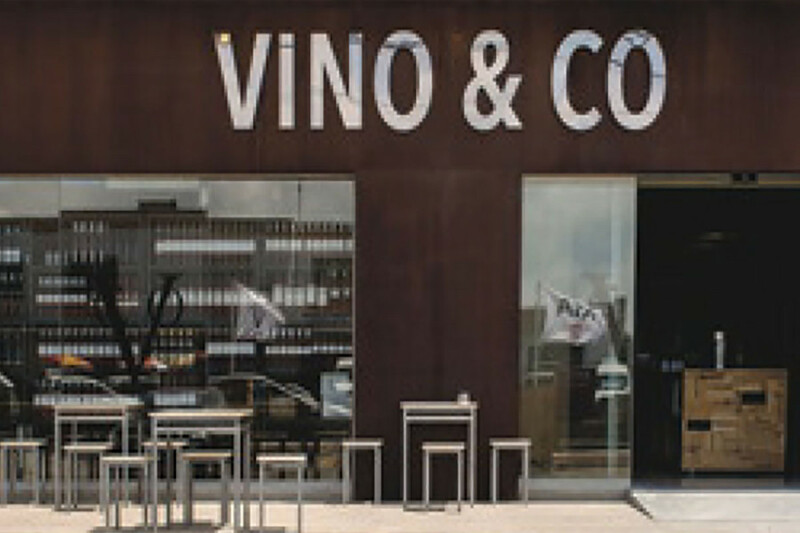 In 2009, ibiCASA reported on the opening of a wine shop, Vino & Co, in Can Bellotera, on the road from Ibiza to Sant Josep. Five years on, it’s clear that its stewardship under Dutch-born Jeroen Hamersma has taken it from strength to strength; with business booming, and the shop now open year round. One fundamental key to its success is that Jeroen has stuck to his firmly held principle that wine is to be enjoyed, without prejudice, and without the trappings of wine snobbery that often detract from the simplicities of what truly constitutes a good wine: “You don’t need to be a connoisseur to appreciate wine. You either like the taste of a particular wine, or you don’t.” To make this more relaxed appreciation of wine possible, Vino & Co do all the leg work. Jeroen himself is the brother of the leading wine critic in Holland, so knows just about all there is to know about wine. His fastidious research involves seeking out hidden gems – wines that fall under the radar. He prides himself on discovering the “rising stars”, as yet unfettered by commercialism and, as such, high calibre whilst still refreshingly accessible in price. Another strong ethos that Jeroen continues to champion is organic production, including vineyards adhering to the fundamental principles of ecological viticulture, even if very stringent regulations and high costs prohibit achieving “official” certification. With Spanish wines, he delights in showcasing wines that hail from outside of the more known and predictable regions of Rioja and Ribera del Duero. And to this day, he refuses to be charmed by wine cellars and vineyards tantalising him with lavish hospitality to lure his custom. Instead, he simply takes delivery of their latest offerings at his own cost, “sits with them”, and canvasses additional opinion from his family, friends and business associates before committing. To accommodate Jeroen’s ever growing wine emporium, Vino & Co has this year expanded into a defunct shop next door, and undergone an impressive refurbishment. They’ve also launched an online ordering system. In addition to red and white wine, cava, Prosecco and champagne, Jeroen now stocks carefully selected gin, vodka and rum. Prices in the shop range from €4.35 for a bottle of very pleasing wine, to €1300 for what is called a “Nabuchadnezzar” (15 litre) bottle of champagne. Around 80% of the wines are Spanish, with an array of pickings from France, Austria, Chile, and Italy interspersed amongst them. It is fair to say that there is something to suit all budgets and tastes, with unambiguous pricing and vital stats on grape and region making for a very comfortable unaccompanied in-store browse. With Jeroen’s wife Sylvia, daughter Rosa, and invaluable “wingman” Roy firmly at his side, the thing that really sets this shop aside is their vending lightness of touch. There’s no hard sell here – Jeroen loves nothing more than recommending affordable wines, and recounting the compelling stories that lie behind the vineyards that produced them. His goal is simply to share his passion for wine, and encourage all ages, nationalities and walks of life to do the same. 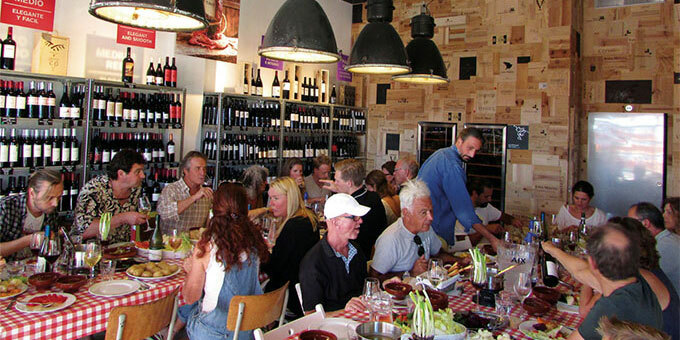 His clientele have gone from predominantly Dutch, to every nationality under the sun and, much to Jeroen’s delight, a large handful of young Spaniards starting out on the wine appreciation ladder. There is nothing residents of Ibiza appreciate more than the opportunity to enjoy what winters here are ideally made of: a time to reflect, relax and unwind. What better then to dive into an up to eight or nine course taster menu, sat amongst an enchanting backdrop of backlit bottle upon bottle of wine, chewing the cud with new friends, and savouring Jeroen’s recommended fluid accompaniments to the meal, or ordering any bottle of wine you wish from the mighty array that surrounds you. The motivation for these table d’hôte lunches and dinners, which occur on one day every one or two weeks throughout the winter, were inspired not only by Jeroen’s desire to fuse fine wine with fine dining, but also his collaborative spirit: “Winter is a time for seasonal restaurants, private chefs and catering companies to showcase themselves. We provide a stage for this.” On any given evening, one such gastronomic outlet cooks up a feast in full view of the guests, and describes their dishes before serving. Meantime, Jeroen is on hand to present a recommended tipple, accompanied by his customary storytelling charm. With food charged at cost, and never exceeding €30 a head, this is by no means a profit-making exercise, but purely an unadulterated celebration of the finer things in life. Also on the winter calendar, in amongst all manner of other food and drink mini-events, is the fourth edition of Vino & Co’s New Year’s Day gathering. This entails a hangover-busting dip in the sea at Salinas at midday, followed by a resuscitating celebratory glass of bubbles, and food aplenty. 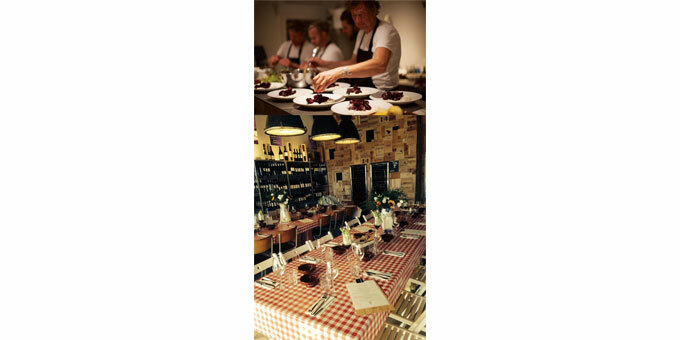 “We set up wooden tables and chairs. Everyone brings a dish. As often as not people have leftovers from New Year’s Eve. Half a cake here, half a Jamón Serrano there… And it’s always sunny!” Later in 2015, expect the fifth edition of the ‘Wine Festival’, hosted by Vino & Co, and held at Sluiz, Santa Gertrudis. For a small entrance fee, this event lays out more than 100 wines for the sampling, and last year enjoyed between 1,000 and 1,500 people pass through its doors. 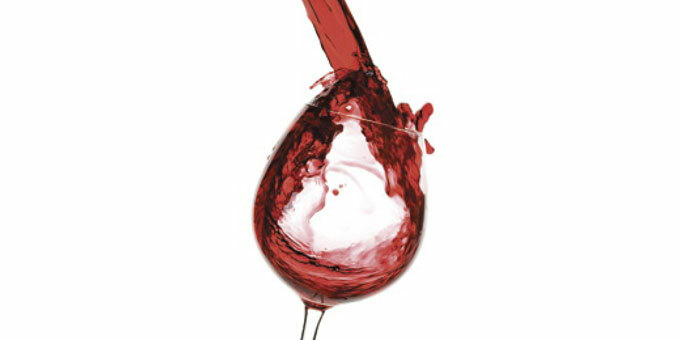 Gran Cerdo, organic red Rioja for €6.07 / Peique Mencia Joven for €7.50 / or D’Berna Godello for €10.14. For those very special occasions, Jeroen’s favourites of the moment are: Castell d’Encus Quest for €34.73 / or 2010 Casa Castillo Pie Franco Monastrell for €42.78. And for the champagne lovers amongst you: Veuve Doussot Ernestine Millésime for €34.15.